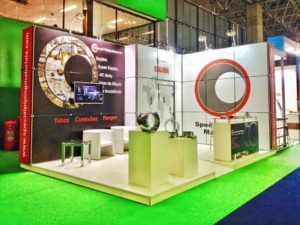 This October Special Piping Materials visited Rio Oil and Gas 2016 exhibitions and conferences. With 34,200 visitors and 540 exhibitions that lasted over a period of 4 days. Its seen to be the leading oil and gas event in Latin America! Organised every two years by the Brazilian Petroleum. Among the visitors at the event was the Brazilian President, Michel Temer. He opened the event by giving a speech at the opening ceremony. The theme for this years event was, pathways to a competitive petroleum industry. Finding alternative and new technologies to make companies fit the prospects of the coming years. This means having a specific focus on cutting costs and increasing efficiency where needs be. Many other prestigious bodies from the oil and gas industry spoke at the conferences about the changes that need to happen through the whole industry. Abling it to be sustained in a comfortable way for the upcoming months. Making cut backs now should create room for new investment, which should then inevitably lead to a more sustainable future for the industry and international companies in years to come. Special Piping Materials was presented at Pavillion 4, Booth Z17, where our Sales Director, Paul Buckley, and the South America Manager, Antonio Marques, hosting our Clients, Partners and Friends. Click here to view all the photos and feedback from this event.